Doug Butz is ITC’s vice president of Business Development. He is an accomplished business development executive with more than 30 years’ experience in telecommunications. His primary role within ITC is to drive its strategic growth imperative through the acquisition of key accounts and the development of new business lines. Doug oversees all major account activities and has supervisory responsibility for ITC’s sales staff. 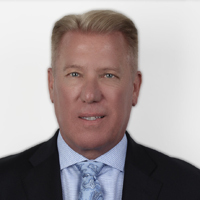 Before joining ITC, Doug worked with Samsung, IP and MCI in an executive sales capacity. 26 queries in 1.282 seconds.